Palm Beach County has dispatched 400 trucks as part of the Solid Waste Authority task force. These crews have the job of clearing away all the vegetation debris left by Hurricane Irma. Even with those crews working from sun up to sundown it is still estimated to take about three months to finish the job. Guesses put the amount of clean up at 3,000,000 cubic yards of debris. Thankfully, it didn’t take long to restore power throughout Palm Beach. But that doesn’t mean the homeowners were spared from damage to their residences. Instead of waiting for municipal help, you can always count on Junk King Palm Beach to take care of your hurricane cleanup. Palm fronds are probably the most common vegetation debris that you would need to clean from your yards. The crew from Junk King can quickly load up all those branches onto the back of their truck. That way you won’t have to cut up your hands to get the job done. In addition to all the stuff that was dumped in your yards, the crew from Junk King can also remove any water damaged furniture or carpeting. Those are the kinds of things that might already be dragged out to your front lawn. Although that may be keeping your home safe from toxic mold, there’s still a chance it can grow while that stuff is festering out in the sun. It’s much better to turn it all over the Junk King Palm Beach today. Scheduling with Junk King is easy. You could make a phone call or book online. In either scenario, you are guaranteed to get a rapid response back to your query. Before the storm, Junk King was completing most pickups within 24 hours. They’ve been able to maintain that schedule even with the additional work. 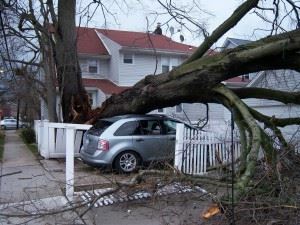 It is also possible that you could benefit from the same day pickup if the crews are near your home when you call. Cost is always a factor with a hurricane cleanup. When you hire Junk King Palm Beach, you’ll be charge a flat rate for all the work. That price covers the labor, transportation and disposal. It’s a price that’s based on volume and not weight. That’ll be a big help especially if you are getting rid of a lot of things that have been soaked with water. You won’t have to wait long for hurricane cleanup when you hire Junk King Palm Beach today. This entry was posted in Junk King Palm Beach and tagged debris, hurricane cleanup, Junk King, junk removal on September 27, 2017 by Junk King. Last updated September 27, 2017 .